"Enjoy music and fun by hopping to the rhythm and beat"
Screenshots of Tiles Hop: EDM Rush! Main Features of Tiles Hop: EDM Rush! 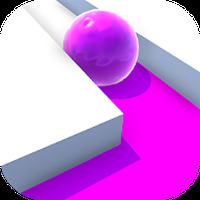 Game Goal: In this arcade game, players must keep up with the music by moving a ball across platforms. How to Play: In addition to jumping the platforms with the ball, it is necessary to collect the crystals to unlock new skins. You can also upload songs or create levels with original melodies. Graphics: The scenarios are well designed and provide a pleasant and engaging gaming experience. Controls: Just slide your finger left or right to jump to the platform. Don't forget to collect the crystals. Rating: The TOP 5 Most popular games in Ball Games category. Useful Tips Tiles Hop: EDM Rush! Before downloading, you can familiarize yourself with the gameplay by watching this video on YouTube. POSITIVE about Tiles Hop: EDM Rush! Allows you to upload music. Players can share scores and track the overall rankings. Various musical rhythms, including electronic music, pop and rock. 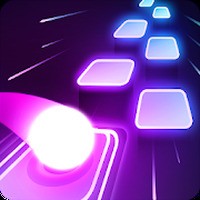 NEGATIVE about Tiles Hop: EDM Rush! 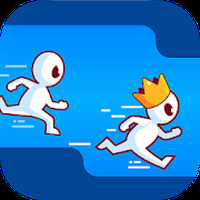 Do you like Tiles Hop: EDM Rush!? Questions and opinions about Tiles Hop: EDM Rush!